NIFT 2019: NIFT stands for the National Institute of Fashion Technology. The institute having its several regional branches is famous among students for pursuing the creative and professional courses. The NIFT Admission can be taken by aspirants in the field of designing and technology involved in it offered at Bachelor and Master Levels. However, admissions here are not easy as one has to go through the admission test for learning curriculum offered here. Through the article it will be easy for all to understand the NIFT Notification 2019 details about eligibility criteria, important dates, how to apply online, admit card, exam pattern, syllabus, and many more details relevant to the exam. For the aspirants, NIFT 2019 Exam Date and other events are very important. As the process will begin a lot soon, here we are providing important dates so that preparation is advance can be incorporated. The NIFT Admission Eligibility plays a vital role as without fulfilling the essential conditions, one cannot appear in the exam. Through the given NIFT Eligibility Criteria for all courses offered, here we are giving you details in the tabular format as what is the minimum standard to participate in the competition. Age Limit: For bachelors program 23 years is the maximum allowance while for Master programs there is no age limit. Technology (B.Tech.) from recognized university/institute. 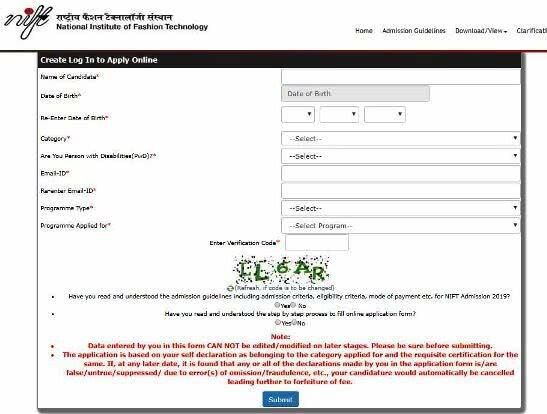 Those who want to appear in the entrance test have to reflect their interest by submitting the NIFT Application 2019. Whether you are looking forward for the Bachelors or Master’s program, it has to be submitted by all within provided NIFT Application Form Date. The NIFT Admission Process for each program will be different. Along with the entrance test the selection will be given on the basis of overall performance of the pattern given below. For foreign nationals or NRI students, the selection will be done through the score of following exam as per course. The written examination will be important for all candidates. Depending on the choice of course opted by the students they will be giving written exam. Both exams will be offline, thus it is important for all applicants of the exam to check out the NIFT Paper Pattern for better understanding and management of time. Here we are listing down the structure of NIFT Entrance Exam Pattern to give a brief idea of the exam. For the courses in which CAT will be taken, it is the Creative Ability Test. The questions will be general to test is the creative and innovative use of color and illustration skills. As per the exam pattern, students should have understood that best performance can only be achieved only if candidates study through syllabus. Well, all contenders of the exam can give their best through the NIFT Syllabus 2019 Pdf provided by us for each course. Besides following the NIFT Syllabus for Entrance Exam, it is advisable that they should keep themselves involved in more and more brainstorming session to bring analytical and creative strategy. The NIFT Entrance Exam Admit Card is essential in the throughout process of examination. Those candidates who will be eligible for the exam, will be given admit card on the basis of information provided in application form. The NIFT Hall Ticket will be available to download online only. 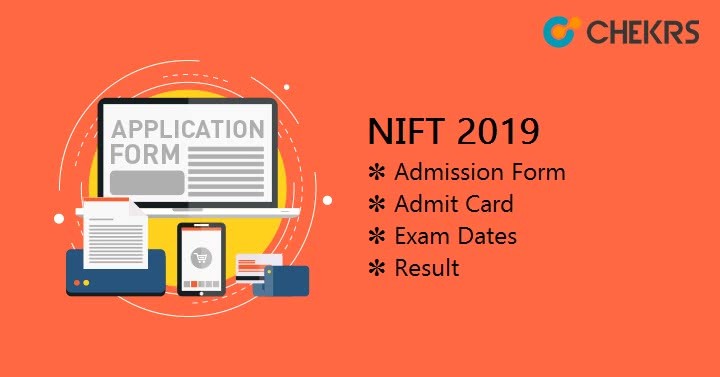 Through the links and information provided by is it will be easy for one and all to know NIFT Exam 2019 Date and download it timely. The appearing candidates of the exam will be appearing in the exam, will be produced result twice. Firstly, the result for written exam will be announced. Lastly those who will appear in GD/PI rounds can know through result whether they are eligible for admission or not. It is never been easier for all applicants to check their results through the direct link and updates for NIFT Result Date provided by us. Also those applicants, who have to give CAT exam, will only be able to give GAT exam only when they have cleared the first exam. The counselling will be done in the month of May/June after announcement of the final result. The exact dates will be notified to all here. The NIFT Counselling Process is merely completion of formalities for admission. However, anyone absent during the process will not be able to get admission afterwards. At the time of counselling, candidates will have to present their original qualification certificates. Also those who had submitted the fee online will have to bring the submission document. More or additional information for each exam will be provided to you timely.